Spyderco's non-locking, one-hand open, clip carry folders are called SLIPITS. Starting in 2004, Spyderco launched a folding knife model called the UK Penknife, targeted for carry in the United Kingdom where newly imposed legal restrictions forbade folding knives with locking blades. As the SLIPIT concept gains momentum Spyderco keeps expanding the line with folders in varying sizes, steels and handles. Newly added are Lightweight SLIPITS. Lightweight UK Penknife blades are held open by a notched-joint at the knife's pivot. When closing the blade the notch produces resistance functionally similar to traditional slip-joint penknives. 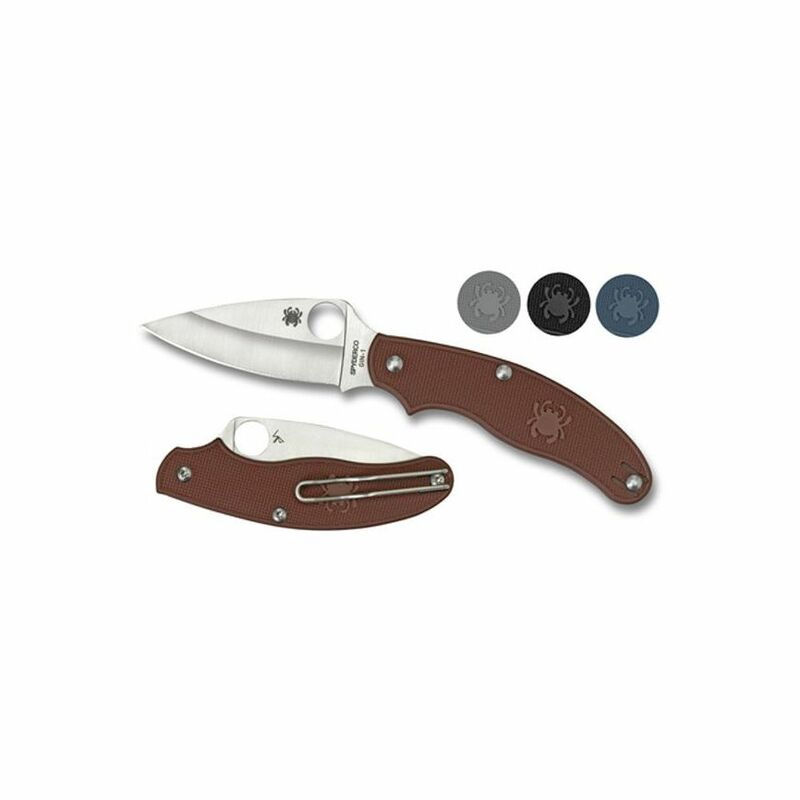 Heightening control and comfort, Spyderco designers added a deep finger choil positioning the index finger on the bottom of the blade directly under the thumb. This lets you choke up near the cutting edge with comfort and dexterity. A tension-wire clip carries the folder deeply in a pocket, tip-up and ambidextrously.